Huawei will reportedly launch its Honor Note 8 phablet in China on August 1. Sporting a massive 6.6-inch display, Honor Note 8 will compete with Xiaomi's recently launched with Mi Max phablet which has a 6.44-inch display. 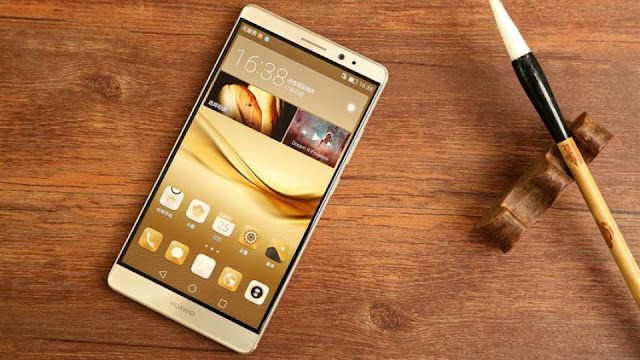 The Huawei Honor 8 has an IPS LCD display of 5.2-inch that supports a resolution of 1920×1080 pixels at 424 ppi. On the other hand, the Huawei Honor Note 8 is a monster with a massive IPS LCD display of 6.6-inch that will support a higher resolution of 2560×1440 pixels at 445 ppi. Both devices have a glass-backed design and a fingerprint scanner in the middle on the back. The Huawei Honor 8 features a HiSilicon Kirin 950 chipset, a quad-core Cortex A72 CPU clocked at 2.3GHz and a quad-core Cortex A53 CPU clocked at 1.8GHz, a Mali-T880 MP4 graphics card and 3GB or 4GB of RAM. The Huawei Honor Note 8 will come with a HiSilicon Kirin 955 chipset, a quad-core Cortex A72 CPU clocked at 2.5GHz and a quad-core Cortex A53 CPU clocked at 1.8GHz, a Mali-T880 MP4 graphics card and 3GB of 4GB of RAM. Both devices come in two internal storage variants of 32GB and 64GB which you can expand up to 256GB using a microSD card. The Huawei Honor 8 sports dual primary camera of 12MP that features dual-LED flash, laser autofocus, HDR, panorama, touch focus, geo-tagging, face detection and a secondary camera of 8MP. On the other hand, the Huawei Honor Note 8 has a weaker primary camera of 13MP that features autofocus, dual-LED flash, geo-tagging, touch focus, HDR, panorama, face detection and a secondary camera of 8MP. The Huawei Honor 8 is powered by a non-removable battery of 3000 mAh. Unfortunately, there is no information about the battery that the Huawei Honor Note 8 will come with.